I always bring books on vacation with me (Kindles make this so much easier now), and I often choose books related to my travels (e.g. Darwin’s The Voyage of the Beagle and Vonnegut’s Galápagos while in the Galápagos Islands). On my recent trip to Ireland, I loaded my Kindle with Oscar Wilde, yet found I didn’t have the brain capacity for classics after long, tiring days of hiking. So I turned to the fantasy and sci-fi indie titles I’ve been meaning to read for months. I pulled up The Dia Chronicles by indie author Tammy Farrell and was pleasantly surprised to discover much of the fantasy was based in Irish mythology. What fortuitous timing. I even knew how to pronounce some of the Gaelic terms, like sidhe (“shee”). The Dia Chronicles currently consists of two books, with a third forthcoming. 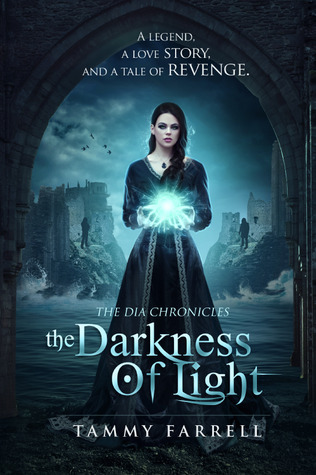 The first book, The Darkness of Light, begins the story of Mara, who loses her mother tragically, then discovers that she had been harboring a secret that affects Mara as well. The second book continues Mara’s story but also focuses on Malcolm, one of the antagonists of the first book. 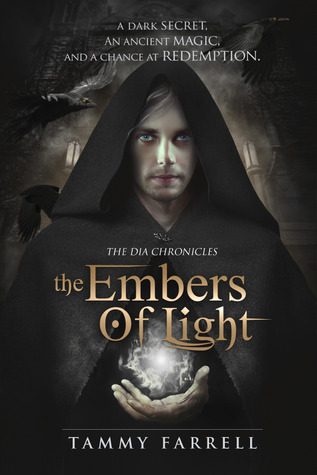 I actually won a free copy of The Embers of Light in a giveaway from blogger TickledTK, and I figured I might as well buy the first book to start with. Now I’ll probably buy the 3rd book too. These books were great vacation reading and I had a lot of fun with them. I loved the setting and the Irish myth and magic woven in. I’ve seen these books referred to as “historical urban fantasy,” which despite sounding silly seems pretty apt to me. There’s a bit of romance in there, too. The writing is not sophisticated, but it is clear. The plot isn’t anything special but the pacing is good. There are a few adult elements, hence these books don’t belong in the YA category (but I’m sure some high schoolers would be fine to read them). If you are a fan of historical fantasy, these would be a quick fun read. If you’re not, I could probably recommend better books as your intro.